The act of giving shy learners confidence is about more than just achieving classroom participation. When teachers bring a shy pupil out of their shell, they help them in overcoming a barrier that could otherwise have seriously affected that child's way of life. It's an act of empowerment and a gift of courage that only gets better over time. There is a sadness in most of us when we see a shy child struggling in class. You can see the painful anxiety on their face the moment they enter the room. Quiet students don’t chat as easily as some of the other students do with their peers. 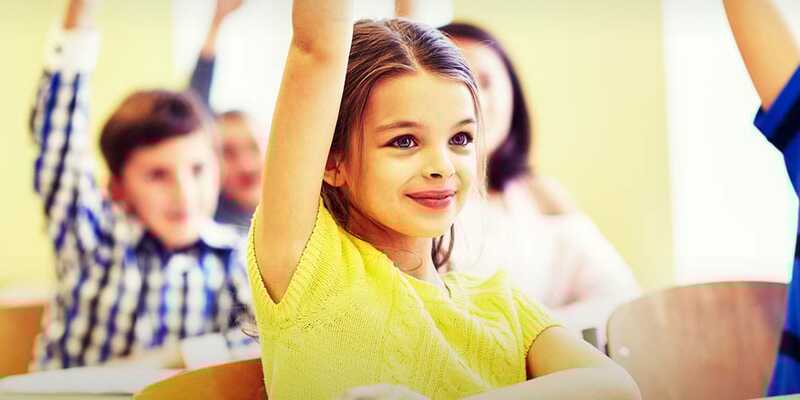 Raising their hand in class is a rarity, if it ever happens. Calling on them to come up to the front of the class is literally their worse fear come true. Nevertheless, there are some simple ways to help integrate a shy child better into a classroom situation. Here are 4 ways to start giving shy learners confidence in your learning spaces. Don’t throw them into the mix all at once, as this can be overwhelming and off-putting. Instead, gradually bring them out of their shell a bit with more interactive participation. Look for opportunities where they might be more willing to engage, especially in subject matter they are really interested in. Body language and facial expressions are a good clue here. Sometimes you’ll notice a spark on their face, or a little straighter posture when they want to participate. They still might be too shy to raise their hand, but they want to. “Trial by fire” is not the route to take with a shy child. You might think that making quiet students do more outgoing activities might help, but it just makes their anxiety worse. Then they will dislike coming to class even more, if you are the one who is always calling on them or forcing them to participate. Everyone loves to be encouraged. Being positive will help build confidence in a shy child since many times they are hesitant to jump into things. This just means that they may need a little more time to warm up to activities. Encouragement helps solidify their self esteem in a way that makes them more at ease with daily classroom experiences. When doing class projects, pay attention to who you place some bashful children with. If possible try to put them with super-/friendly, easy going kids who get along with everyone. Engaging personalities will draw that shy guy or gal right out of their shell. Shyness or a quiet personality is usually just a trait someone is born with. It’s estimated that a quarter of the population exhibits some form of shyness, so it’s a common trait among many people. So show the quiet student that there is nothing wrong with this personality type. You’ll make them feel more at ease with themselves. Giving shy learners confidence also comes with showing the shy student you understand their needs.